Now days plastic bags are used for cleanliness and comfort in houses and offices to keep the dust and they are thrown next day and new covers are used. Just think once that in every office and home if the bags are changed daily, assume how much plastic will get accumulated. If the dustbins are cleaned every day then there is no use of plastic covers. If the dry waste and wet waste is separated then the dust bin will be clean always. If this point is kept in mind and taken a small pain then it makes a huge benefit to the environment. 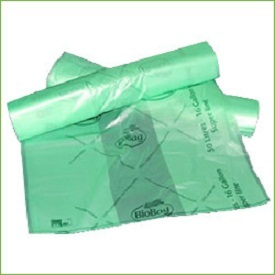 Bio-degradable covers are available now days in the market. In case, if required, then these can be used to reduce the harm to environment. Please think that by this we will save our earth and give a chance to our future generations to live healthy.